Current first year graduate students in their second full-time equivalent semester or third full-time equivalent quarter for those in two-year programs or for those in longer programs, their next to final year, studying at any AUPHA or ASPPH member graduate program. Applicants must be scheduled to complete the didactic portion of their degree not later than December of the year following the awarding of the scholarship. Scholars are selected based on expressed and demonstrated commitment to improvement of the U.S. health care system, as well as leadership, academic achievement, community involvement and long-term career interest in the fields of health policy, public health, heath administration and/or health management. Applicants from health policy, public policy, health administration, business, economics, and law graduate programs (e.g. MPH, MPP, MHA, MBA, MA, JD) as well as joint degree programs (e.g. JD/MPH) are strongly encouraged to apply. In honoring the legacy of David Winston, students of all political ideological perspectives are encouraged to apply. The scholarship embodies Mr. Winston's commitment to public/private partnerships necessary for a high quality healthcare system, bipartisan collaboration in achieving health policy goals as well as and appreciation of the roles of both the government and the private sector in achieving those goals. A resume detailing both professional and extracurricular activities. A personal statement detailing the applicant’s interest in and commitment to health policy and how they intend to pursue policy within their career. This statement should be roughly one and one half single spaced pages in length and should provide detail on what experiences in your life have directed you towards a career in health policy and what your future career aspirations are. The statement should outline how your academic preparation has and will continue to prepare you for a career in health policy. Undergraduate and graduate registrar-issued transcripts (at least one full-time equivalent semester of graduate work in health management or health policy must appear on graduate transcript). All transcripts from all higher education institutions attended are required and must arrive by April 5, 2019 5pm ET. Two letters of nomination. One letter must be from a faculty member in your degree program. The second letter must be from a preceptor or employer. Both letters should be on letterhead, signed, and speak specifically to your qualifications for this scholarship. 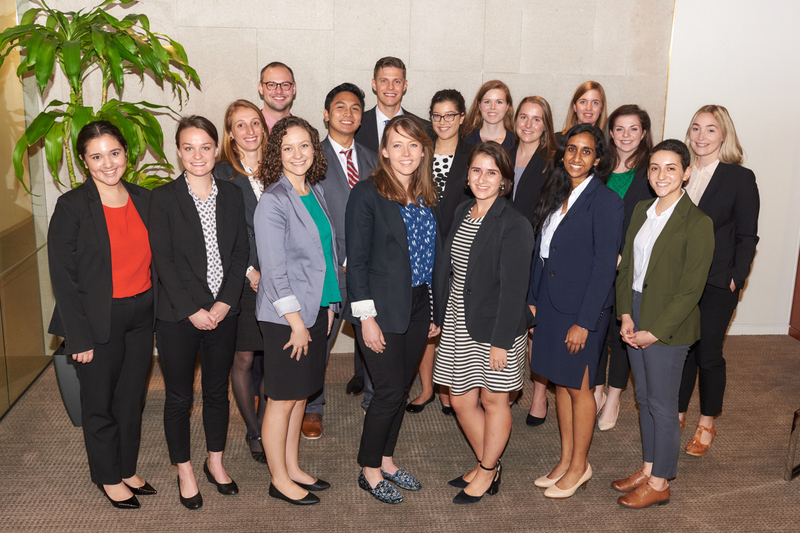 Applications and supporting materials for the 2019-20 Winston Health Policy Scholarships will be open for submission starting February 4, 2019.